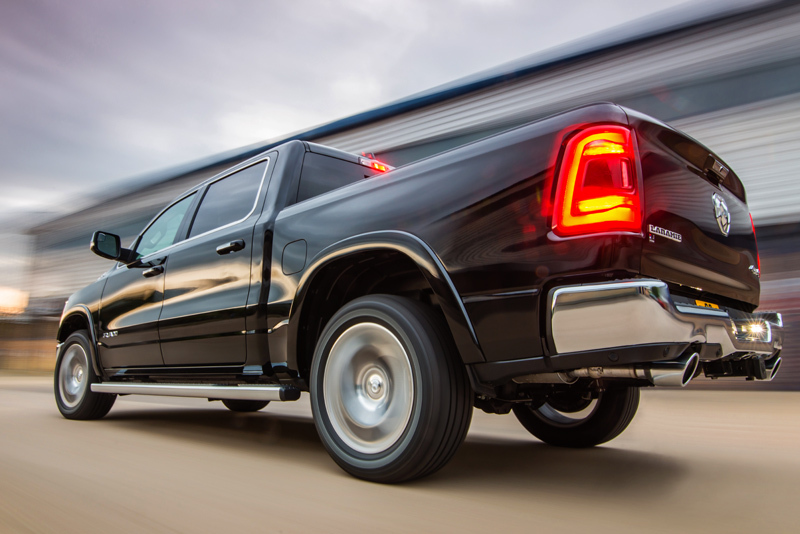 We make buying an American vehicle in the UK easy. We have been importing and supplying American cars and pickup trucks in the UK for over 30 years and pride ourselves on providing high levels of customer service both before and after the sale. We always have vehicles in stock in the UK and offer full American car dealer facilities, including part exchange, extended warranties, parts and servicing with fully equipped workshops and well stocked UK based parts facility. We are also Authorised and Regulated by the FCA to offer finance facilities. 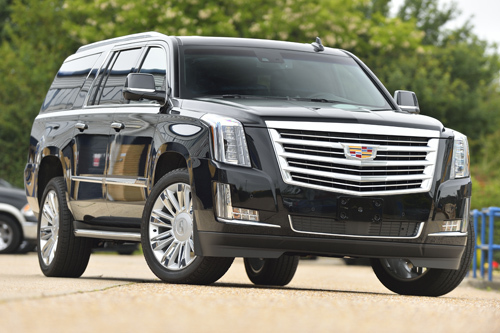 We always have a good selection of vehicles in stock and our sales department will be pleased to provide written quotations to supply any make or model of new American vehicle to order. We carry out all IVA preparation work, testing and registration administration on your behalf & can deliver your vehicle to you anywhere in the UK. Our prices are “on the road” in the UK. If you have any queries relating to American cars or trucks, please give us a call or pay our offices a visit and we will do our best to assist you. We aim to provide great service, quality work and fair pricing. 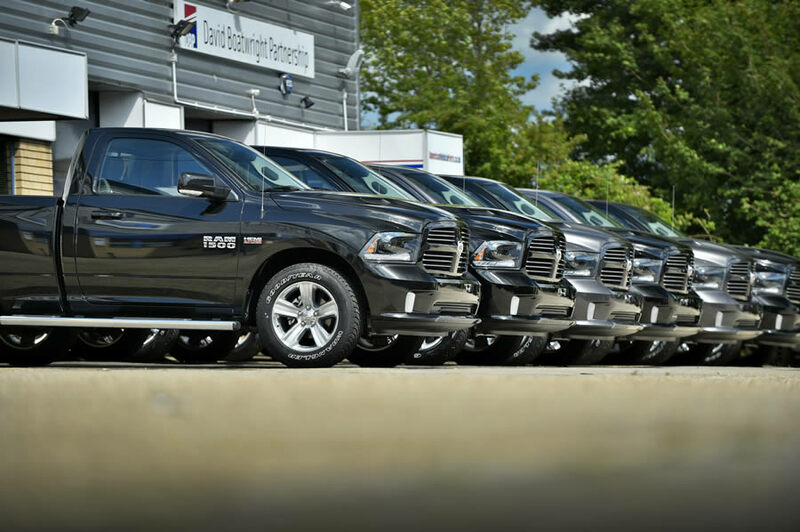 We are official dealers for Dodge and Ram and always have a range of New Dodge Rams in stock here in the UK. We can supply any colour or specification that is not in stock, quickly to order. We have been importing and supplying new American cars and trucks in the UK for over 35 years. These people are just the best. Parts and technological know how. Just wanted to thank all at David Boatwright Partnership for your services with providing my new Dodge Ram 2500. We are really pleased with the truck and equally pleased with the level of service provided. We are repeat customers having dealt with David Boatwright for over 6 years and purchased 3 vehicles over this time. We highly recommend David Boatwright Partnership for all your American car needs as the level of service in all areas including trade in evaluation and after sales is second to none. Thanks again it’s been a pleasure and speak soon.. 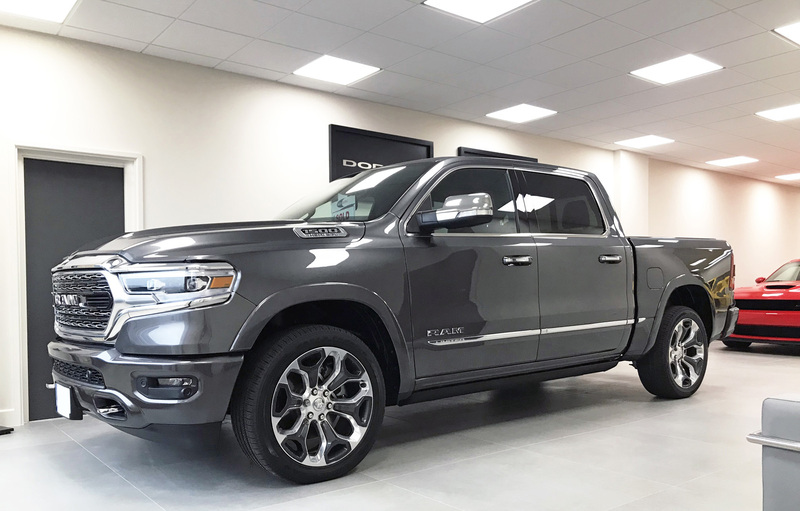 I chose DB because they had a vehicle arriving at the time I enquired this is important to me because I don’t like long waits for vehicles I particularly wanted the F150 because it is a relatively new model compared to the Rams and I liked the idea of the Ecoboost engine. I was happy with the whole feel of the deal from my first contact, but particularly that I could PX a vehicle that was not American., I was particularly happy with all the help from Toni, including the private plate transfer that went without a hitch, and the efficiency of having the vehicle taxed and ready to go without any need for me to get involved. I would tell people who were thinking of buying from you to hurry up and get on with it!! 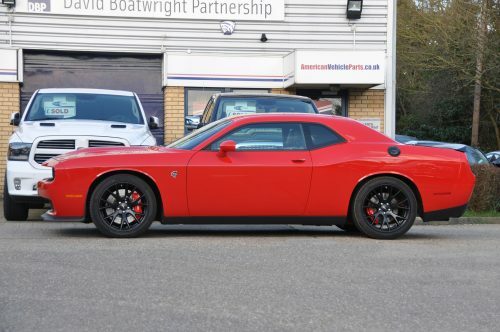 Bought my Ram from Boatwrights in May 2015 and they were great the whole way through and even afterwards – you’re not just another customer that they want to sell a car to, they form a personal relationship with you and make your experience of buying an American vehicle as painless and as enjoyable as possible. I would definitely recommend The David Boatwright Partnership to anyone who wishes to buy an American vehicle or even if you only need parts, with shipments arriving every week, as long as you get your order in within good time, they could arrange for it to be on the next shipment. Great friendly service, had a few new vehicles from them, Highly recomend Them. 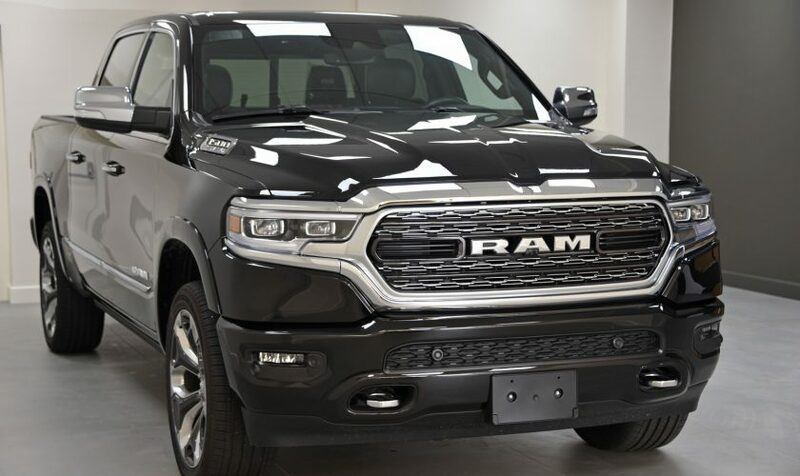 When I decided to look at the possibility of purchasing a dodge ram I spoke to a friend who had one , he suggested I go to David Boatwright they are good people to deal with. 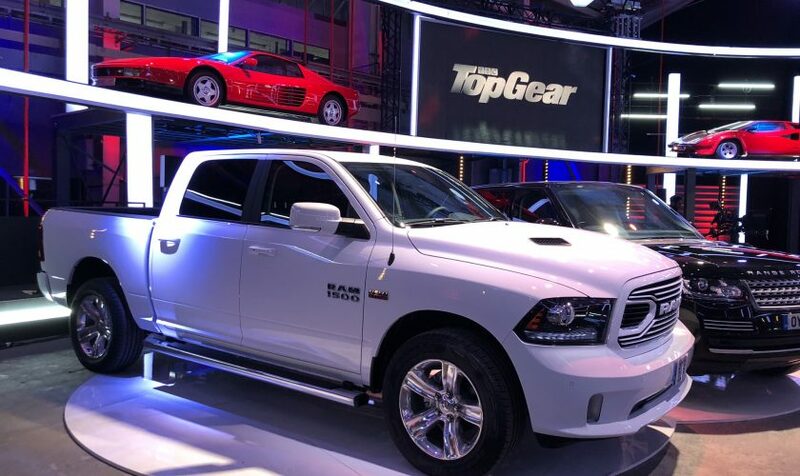 The reason for choosing a Dodge Ram was its appearance. Although it’s a truck it has all the refinements of a quality car. The information provided was helpful together with the service which help me make the right decision. DBP were recommended to me by one of their old customers. I would most certainly recommend DBP to anybody looking for an American vehicle. I would advise anyone looking for this type of vehicle that I had done my homework and got the best price and service from David Boatwright Partnership. What made you feel at ease about choosing to purchase a vehicle with DBP? A non-pushy approach, something I’ve never experienced before when looking at cars/trucks. Were you happy with the service and information provided by DBP? Very happy with the service/information. 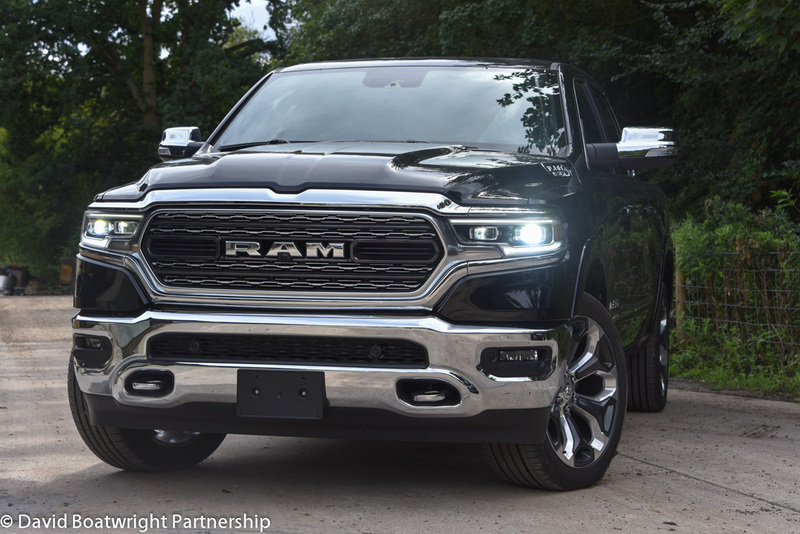 I had researched Ram trucks online but could not find all the answers but DBP provided those missing answers.That any spares/service or upgrades are easily available on site, and they bought back the unwanted side steps from me + a 3 year warranty. Go along have a chat and have the same non pushy approach as me, then come away with a stock vehicle or order one up its that simple.